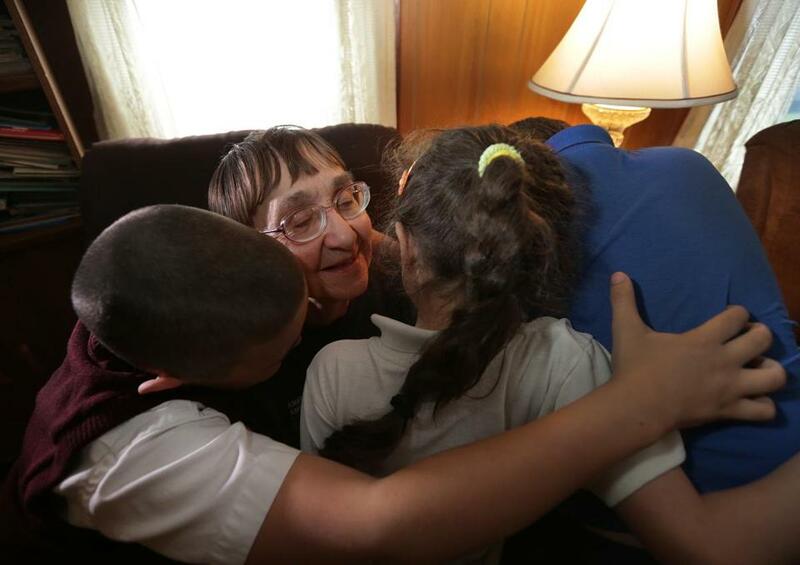 Mary Charette got a group hug from some of the kids in her house in Fall River. FALL RIVER — “You can’t save the world,” Mary Charette always says. Maybe. But she’s gotten closer than most. Her modest yellow house with the pink shutters has been home to 237 foster children since she and her husband, Paul, began taking them in four decades ago. Mary and Paul always said yes. Yes to unlucky newborns and to broken teenagers. Yes to abused kids, and to those who had seen too much. Yes to kids who could not bear to be touched. Yes to brothers and sisters who could not bear to be separated. Yes to kids with brain damage, Down syndrome, dwarfism, and autism. Yes, because where else were they going to go? Those kids became part of Mary’s family for weeks, or years, or forever. She and Paul adopted nine children, and became legal guardians for five more. The kids she has cared for brought joy beyond imagining, and pain beyond measure. At 73, Mary continues to take children in. There’s no other way for her to live. On a recent Saturday morning, a few of them were sitting in her little living room, watching TV. Seven of her charges live in the house right now, a four-story warren of rooms, where neatly folded laundry is piled high, perfectly-made beds fill the bedrooms, and bulk supplies of food and cleaners line shelves in the basement. “How old are you?” teased Danielle, a funny 38-year-old with Down syndrome whom the Charettes adopted when she was a baby. “Never mind, go inside!” Mary said, her feigned annoyance delighting her daughter. Her adopted son Jacob, 10, was unable to talk when he arrived here seven years ago, and was diagnosed as autistic. But it turned out the only thing wrong with Jacob was that he hadn’t met Mary yet. Now he’s a personable and successful middle-schooler. A six-year-old autistic boy pushed wooden pegs into holes: He was barely verbal when he arrived here, but now he’s able to speak a little and be with the group. 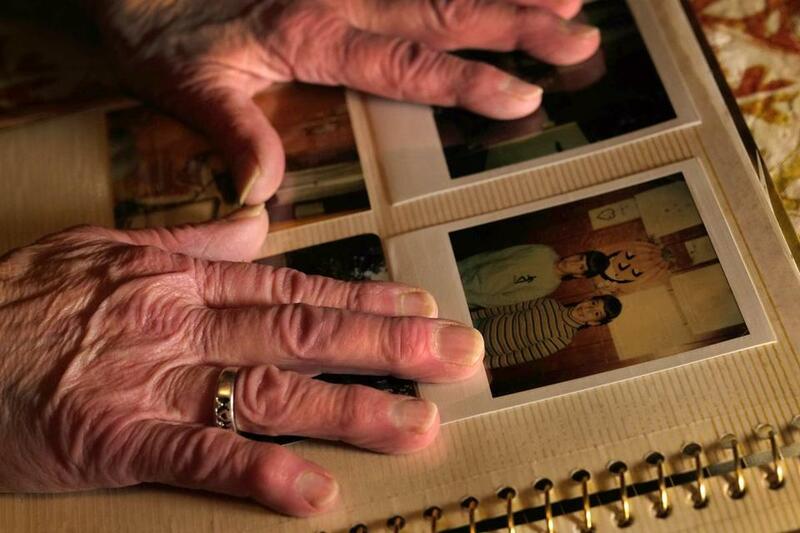 Mary Charette looked at an album filled with photos of some of the 237 foster children she and her husband have cared for. A slight woman with short, dark hair, Mary stood over her kitchen table, leafing through photo albums that document her miraculous, sprawling brood. After her first daughter was born, doctors told Mary she couldn’t bear any more children. Having lost her own mother when she was 4, Mary had always planned on being a spectacular mother to six kids. She and Paul adopted two kids with disabilities, then started taking in foster kids in 1979. They were all good girls and boys. Over the years, Mary and Paul learned just how much could go wrong for a kid. She and Paul gave them structure and love and, somehow, as much attention as they needed. There might be as many as a dozen kids in the house at any one time, but it was no big deal. Mary’s tuna casserole with paprika went a long way. Paul’s chourico and fries were endless. Tina remembers the trips to BJs, the cars bursting with groceries. There were dinners out at Bugaboo Creek or Big Top. And vacations, the giant crew piling into the RV for trips to Texas, Florida, Martha’s Vineyard. The older kids pitched in, allowing Mary to make meetings with social workers and court dates, stay on top of the kids’ schoolwork, get them to Little League games, and coach Special Olympics sports for Danielle and others. The rambling, extended family still wraps itself around every kid who comes into Mary’s home. How has she done this for so long? “People with OCD don’t find it as tough as other people,” Mary joked. “I can’t go to bed until everything is just so.” And everything is just so. She’s up at 5 every morning prepping lunches and backpacks, and she doesn’t stop until long after the kids are asleep at night. She is appalled by the notion that some people don’t separate lights from darks. To mark her birthday on Friday, she cleaned the floors, as usual. “I’m celebrating with my mop,” she said. Routine is all, for her and the children. “They need a lot of structure, to know what’s right and what isn’t,” said the woman everybody calls Nana. Many of the kids she has cared for went on to earn college degrees, join the military, find lives and loving partners, and build families. A few of them have adopted and fostered children themselves. Another of her foster kids is serving a life sentence for murder. It hasn’t been perfect. Some kids didn’t like living with the Charettes. And even if they did, it wasn’t easy being an adolescent in a house crammed full of people. “I wanted my own space,” said Eric, 33, whom the Charettes adopted with his two brothers when he was 3. In his late teens, he was embarrassed by his giant, sprawling family. But after joining the Army, and studying social work, he came to realize that what his parents had created was special. After a tour in Iraq, he came home to join the family business, helping out with the kids, caring for kids with disabilities. He just completed a master’s in Social Work at Boston College, drawing Mary into that orbit. A few weeks ago, she sat on a panel about adoption and foster care at the School of Social Work, honored as the expert she is, to the delight of her children. Eric wondered how his mother could go on after her beloved husband and bowling partner Paul died of cancer in 2010. But it quickly became clear that she would change very little, though she now fosters only younger children, worried that, at all of 5 feet, she might not be able deal with bigger kids alone. She never considers hanging it up. She doesn’t think about her age. She’s healthy, she says, so she keeps going, helping to save as many as she can. Correction: Because of an editing error, a caption in a photo in an earlier version of this article misstated the number of foster children that Mary Charette and her husband have cared for.